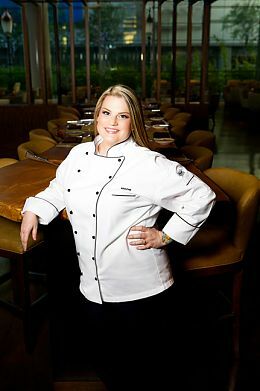 Beginning Monday, February 21, Chef de Cuisine Nona Sivley, winner of Hell's Kitchen Season Eight, will offer a weekly changing seasonal menu at LA Market restaurant. The 3-course menu, offered for $34.00 per person, will celebrate her Southern roots with modern renditions of regional favorites. 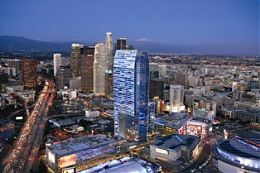 To book, please visit www.lalivemarriott.com and enter code ZJ1 when booking. Rates start at $480.00. 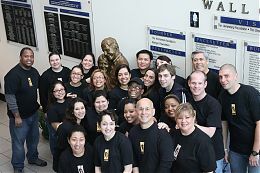 To celebrate our 1st birthday, our JW Marriott employees spent February 15 giving back to our local downtown Los Angeles community through volunteering at Midnight Mission, a human services organization that provides basic subsistence to the region's needy, including daily meal service, drug and alcohol recovery services and "safe sleep" programs. To learn more about Midnight Mission, please visit: http://www.midnightmission.org/. From February 17 through February 20, 2011, due to the NBA All-Star Weekend, there will be limited access to hotel outlets, including restaurants, lounges, and spa. LA Market and The Mixing Room will be open to the public. Please call (213) 765-8600 prior to your visit for reservations or more information. Please do not reply to this message to unsubscribe as we will be unable to process your request. If you prefer to contact us or unsubscribe by mail, please send your request to the postal address below. Please remember to include your name and email address so that we can process your request. Please allow 10 business days for processing. If you unsubscribe from promotional email we will continue to send important, time sensitive transactional Marriott messages - like confirmation email - when you make reservations, use Marriott Rewards points, etc.